I trust you all had a restful Labor Day weekend. 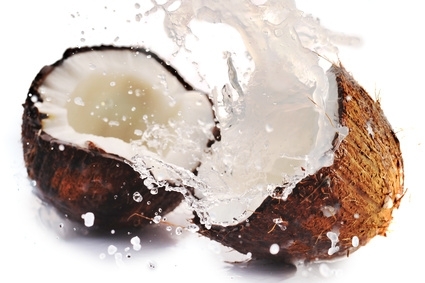 The researchers suggest that enzyme-modified coconut oil has potential as a marketable antimicrobial which could be of particular interest to the oral healthcare industry. Xerox Corp and one of its wholly owned subsidiaries that contracted with the U.S. state of Texas to process dental claim forms are being investigated by state authorities to see if they played any role in allowing dentists to submit higher-than-required bills under the state's Medicaid system, the Wall Street Journal reported. Affiliated Computer Services Inc, fully owned by Xerox, did not dedicate sufficient trained staff to audit the Medicaid requests, letting dentists get paid for procedures not covered by the program, according to the Texas Health and Human Services Commission, the WSJ said. The current scrutiny of Xerox is part of a wider state investigation into Medicaid abuse that has largely targeted dentists and orthodontists, who have been accused by state officials of improperly billing the state for unnecessary procedures. The company is under a contract with Texas and other states to process forms submitted by dentists, who seek to determine whether procedures they intend to do are covered by Medicaid, a federal-state program that insures lower-income people, the WSJ said. Xerox said it helps administer Medicaid programmes in 36 U.S. states and the District of Columbia and processes $54 billion in annual Medicaid spending, the Journal reported. Root canals, bite impressions, cleanings, X-rays and more were performed illegally, according to the Cook County Sheriff’s Office. Cook County police arrested a Melrose Park man for performing dental procedures in his residence in unincorporated Cook County, about 10 miles south of Des Plaines, on Thursday, police announced Friday. Alberto Nunez, of the 7800 block of S. Kenton Avenue in Chicago, was charged with a felony for practicing dentistry without a license and a misdemeanor for unlawful possession of hypodermic syringes, according to a press release. Police conducted a sting operation in which an undercover officer made an appointment to see the unlicensed dentist. While the undercover officer was at Nunez’s residence, according to the report, another patient walked out, and told police Nunez gave him a root canal. Police found dental equipment in Nunez’s residence including a dental chair, lights, plates, syringes, an X-ray machine and more. Police stated, based on statements made by Nunez, he had been in business for approximately two years and treated about 30 patients per week. Nunez told police he attended dental school in Mexico City, but did not provide documentation that he completed the program, according to police. The first time Karent Sierra shows up in the premiere episode of “The Real Housewives of Miami,” she is having makeup professionally applied at home before heading out to the office in a red Mercedes convertible. Most viewers will probably think she is stopping off at the dentist’s on the way to, say, a modeling job. But, no. She’s not visiting the dentist. Sierra is the dentist. It was the kind of crash and burn that ignited talk about the franchise being on its way out. Maybe it was time for Bravo to move on.